India’s commitment to strengthen its cooperation with the regional partners and build a sustainable ocean economy aligns well with its domestic mega-modernisation projects that will enable the nation to harness the full potential of the ocean based blue economy, said a Niti Aayog blog. The blog “Ocean based Blue Economy: An Insight into the SAGAR as the Last Growth Frontier” by Hamant Maini and Lipi Budhraja who are young professionals associated with office of CEO, NITI Aayog, said that in this era of advanced technology, oceans will become new centres of economic activity. Oceans already account for significant trade and commerce in the fields of shipping, offshore oil and gas, fishing, undersea cables, and tourism. Besides these areas, there are other emerging industries such as aquaculture, marine biotechnology, ocean energy and sea-bed mining that have the potential to create jobs and spur worldwide economic growth. The Indian Ocean region needs a sustainable and inclusive framework for international partnerships. Countries in the region need to not only coordinate and manage the growing security challenges in the region but also realize the substantial economic potential the Indian Ocean area presents. India has significantly upped its development efforts in Seychelles, Mauritius, Africa, and Sri Lanka. Such an approach earmarks a shift from the traditional focus on naval operations and anti-piracy efforts to that of environmental protection, national security, infrastructure creation, industrial capacity building and marine development. The blog said that the Indian Ocean Region is abundant with resources, particularly in the sectors of fisheries, aquaculture, ocean energy, sea-bed mining and minerals, and provides tremendous economic opportunities to develop marine tourism and shipping activities. Among these resources, fisheries and minerals are the most commercially viable industries. Commercial and artisanal fisheries sustain the livelihoods of more than 38 million people worldwide. In the Indian Ocean, fish production increased drastically from 861,000 tons in 1950 to 11.5 million tons in 2010. 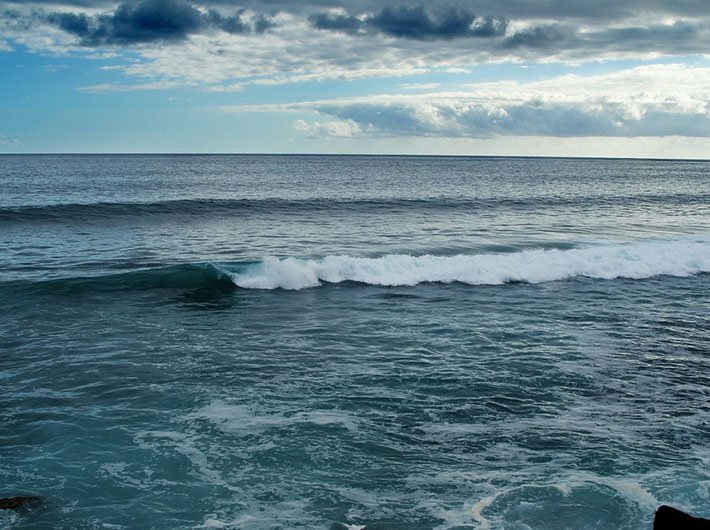 The United Nations Food and Agriculture Organization (FAO) report states that while other world oceans are nearing their fisheries limit, in certain areas, the Indian Ocean’s resources have the potential to sustain increased production. Polymetallic nodules and polymetallic massive sulphides are the two mineral resources of commercial interest to developers in the Indian Ocean. Typically found at four to five km in water depth, polymetallic nodules are golf-to-tennis ball-sized nodules containing nickel, cobalt, iron, and manganese that form over millions of years on the sediment of the seafloor. India received exclusive rights for the exploration polymetallic nodules in 1987, in the Central Indian Ocean Basin. Since then, it has explored four million square miles and established two mine sites, the blog added. A strong impetus on research and development, and innovation in the areas of ocean energy, marine biology and biotechnology must be provided for the nation to achieve significant market shares in these sectors. It is necessary for India to tap the enormous potential of the Ocean based Blue Economy, which will propel the nation into a higher growth trajectory. The development of Blue Economy can serve as a growth catalyst in realizing the vision to become a $10 trillion economy by 2032. Additionally, the Indian Ocean Region is of strategic importance to India’s economic growth as the most of the country’s oil, and gas is imported through the sea. Further, this dependency is expected to rise by 2025 exponentially. The Indian Ocean Region presents tremendous trade potential for the country. The countries in the Indian Ocean Rim Association (IORA) exhibited significant dynamism in the past few years as the trade in the region increased by over four times from $302 billion in 2003 to $1.2 trillion in 2012 . The blog went on to say that the Sagarmala project, launched by the ministry of shipping, is the strategic initiative for port-led development through the extensive use of IT enabled services for modernisation of ports. It tackles the issue of underutilized ports by focussing on port modernization, efficient evacuation, and coastal economic development. The government has allocated over Rs 3 lakh crore to fund 199 projects under the Sagarmala programme to be implemented in the next three years. Of these identified programmes, projects of more than Rs 1 lakh crore are already under implementation. Moreover, the Union Budget of 2017-18 has increased the allocation to the project from Rs 406 crore (RE 2016-17) to Rs 600 crore (BE 2017-18), giving further impetus to the port-led development. Under the Make in India program of the government, shipbuilding industry can benefit from a major thrust. This industry has a high multiplier effect on investment and can accelerate industrial growth along with its large number of associated industries. In December 2014, India had a fleet strength of just over 1,200 ships, which is expected to reach over 1,600 by 2025. A strong push in India’s commercial shipbuilding and ship repair sectors, complementing the Sagarmala project of port development have the potential to drive economic transformation.